Every ABET Expert promotes confidence in technical education. But those who truly embrace the power of our work and have a clear impact are named ABET Fellows. The distinction of ABET Fellow is an honor that is conferred by our Board of Directors. It recognizes individuals that surpass normal expectation by dedicating notable time and effort to achieving our endeavors. 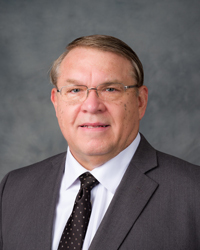 Walter W. Buchanan is a Chair Professor and Past Head of the Engineering Technology and Industrial Distribution Department at Texas A&M University. He has been an electronics engineer for the Naval Avionics Center, an engineering officer for the Navy, an aerospace engineer for the Boeing and Martin Companies, as well as an attorney for the Veterans Administration. In addition, he is a registered P.E. in six states and a retired member of the Indiana State Bar. Buchanan is a Fellow and served on the Board of Directors of both the American Society for Engineering Education (ASEE) and the National Society of Professional Engineers (NSPE). He is a member of the Institute of Electrical and Electronics Engineers and the Society of Manufacturing Engineers. Buchanan has made 50 program visits as a volunteer for the Engineering Technology Accreditation Commission of ABET. 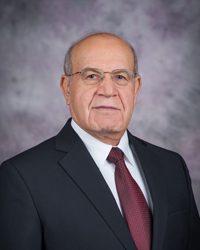 Since joining Kansas State University’s engineering faculty, Mohammad H. Hosni, Ph.D., has served as director of the university’s Institute for Environmental Research (IER), Head of the Department of Mechanical and Nuclear Engineering (MNE), and now, as Chaired Professor and Director of the University Engineering Alliance. Hosni is a Fellow of the American Society of Mechanical Engineers (ASME) and a Fellow of the American Society of Heating, Refrigerating, and Air-conditioning Engineers (ASHRAE). He has served as an ABET program evaluator (PEV) for both societies since the early 2000’s and has been involved with over 30 national and international visits. Hosni is a member of the Engineering Accreditation Commission of ABET. 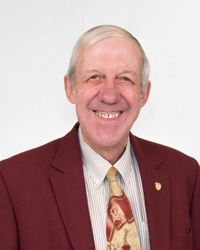 He has made many significant contributions to ABET, including reorganizing the Team Chair workbook and introducing protected pdf files in place of paper for July Commission Meetings. Stan Thomas is an associate professor of computer science at Wake Forest University. He served as Chair of the Department of Computer Science at Wake Forest from 2004-11. Thomas became a CSAC program evaluator in 1996. After CSAB merged with ABET, he continued his service as an ABET program evaluator, Team Chair and member of the Computing Accreditation Commission (CAC). He has held each role on its Executive Committee officer chain. Thomas is on the PEVC and Support Facilitator Training Subcommittees, in addition to the Global Council, where he was a Seoul Accord Reviewer. The ABET Fellow Award, like all other ABET Awards, is given to a nominee selected by his or her peers. To learn more about the process and criteria involved, or to nominate one of your peers, download and review the nomination kit below. The deadline for nominations is April 30th, and only complete nominations with references will be accepted. Fellow award winners will be recognized at the 2019 ABET Awards in Baltimore, Maryland, on November 1, 2019. ABET will cover round trip travel and accommodations for award recipient and a guest to attend. Fellows will also be featured on our website and social media pages, as well as recognized in a press release.